Section 8 vouchers were designed to give low-income people choice in housing. A Post-Gazette data analysis shows their choices are mainly in low-income areas. When she had to leave her East Liberty apartment last year, Linda Robinson was stressed and upset. She was having difficulty finding a place to live. 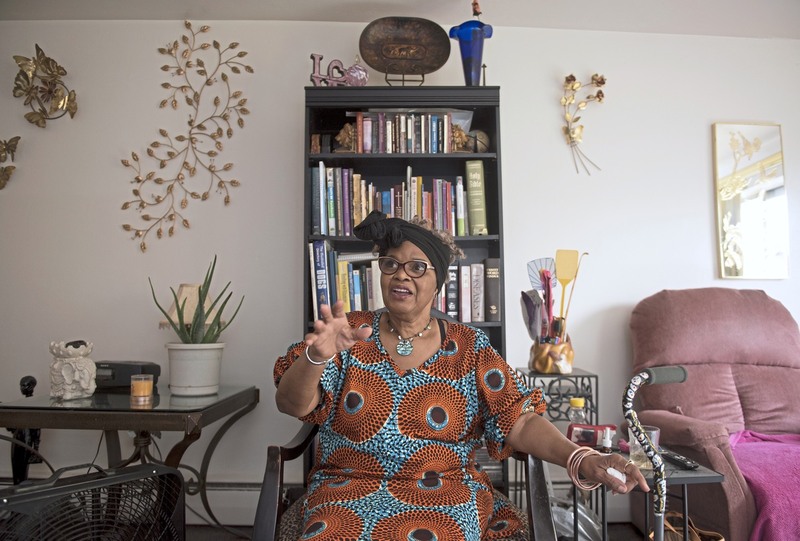 She had a Housing Choice Voucher — commonly referred to as a “Section 8” voucher — which helps low-income individuals find an apartment on the private rental market by paying part of their rent every month. Still, she searched for months. "One time, I spent $30 on stamps, applying for places. They put you on the waiting list. You can't get anything immediately," she recalled. In the city of Pittsburgh, there are high numbers of voucher holders in East Liberty, Carrick, Sheraden/Esplen, Knoxville and Crawford-Roberts and the Middle Hill, an analysis of data from three local housing authorities by the Post-Gazette found. The Allegheny County suburbs of Wilkinsburg, McKeesport, McKees Rocks, Penn Hills, Duquesne, Clairton and Swissvale have the highest number of voucher holders, the same analysis — using data from the Allegheny County Housing Authority and McKeesport Housing Authority — found. Within the city, there are only a handful or no voucher-holders in neighborhoods like Regent Square, Point Breeze and Squirrel Hill North, according to data provided by the Housing Authority of the City of Pittsburgh. Almost no residents with vouchers live in suburbs such as Aspinwall, Scott Township, or Upper St. Clair. Such a distribution reflects an unfortunate reality that Ms. Robinson ran into, experts say. Landlords willing to accept Section 8 vouchers can often be concentrated in areas with poor performing public schools, and limited access to jobs and amenities. For voucher-holders, “[t]his means that while in theory, a voucher grants you access to housing anywhere in the private market, they are actually quite limited in their choices of where they can live,” said Anita Zuberi, an assistant professor in the Department of Sociology at Duquesne University who has studied the program. “Also, research suggests that the voucher program in its current form is not meeting one of the original intentions of the program, which was to reverse the concentration of lower income housing that was created by large scale public housing developments. No area is as high in concentration of poverty as areas with large scale public housing developments, but voucher holders are by no means able to relocate to what are considered ‘high opportunity neighborhoods’ – where the poverty is low, the public schools system is good, and the services and amenities are thriving,” she said. Ms. Robinson, who had lived in East Liberty for eight years, said she was hoping to continue to live there, or another East End neighborhood. "I really like Squirrel Hill, because that's where I was getting physical therapy," she said. "Everything is convenient — Squirrel Hill, Shadyside, East Liberty were the areas I was targeting, and nothing. Homewood was available, and Wilkinsburg. Most of the high-crime areas," she said. Because the program depends on lots of participation from landlords, Pittsburgh’s Housing Authority does try to reach out to landlords to encourage participation in the program, and says it has taken steps to make things easier through a “preferred” landlords program, and has created a landlord advisory council to get input to improve the program, said Chief Operations Officer David Weber. The authority is also working on developing a new payment system that could allow renters to use their vouchers in more areas of Pittsburgh they could be priced out of currently. The plan would essentially create “submarkets” within the city — which would allow the program to pay a higher rent for an apartment in say, Squirrel Hill or Shadyside — rather than the same city-wide payment standard for fair market rent used now. “But at the same time, I think we have to be cautious about the cost,” Mr. Weber noted, because more costly rentals could ultimately mean fewer people could participate in the program. The plan would still need to be approved by the U.S. Department of Housing and Urban Development, and the authority is still gathering rental market data, Mr. Weber said. Will Fischer, a senior policy analyst at the Center on Budget and Policy Priorities, a left-leaning Washington, D.C.-based think tank, said such a change wouldn’t necessarily raise program costs, because rents could be lowered in other neighborhoods. "It's a way to give [voucher holders] broader choices about where they live," he said. He also said housing authorities can assist in expanding the geographic scope of the program by making sure they are giving people information about apartments that are in a whole range of neighborhoods. Housing Authority data was based on Census tract information, and in some cases it was not possible to distinguish between neighborhoods that fall within the same Census tract. For that reason, in both years, the following neighborhoods have been combined: Chartiers City, Fairywood and Windgap; Elliott and the West End; Sheraden and Esplen; Allegheny Center and Allegheny West; Arlington and Arlington Heights. In 2016 data, Glen Hazel and Hazelwood were combined into one unit and Hazelwood and Hays were combined into a separate unit; there may be some overlap. In 2011, Glen Hazel, Hazelwood and Hays were combined. "Just make sure people are hearing about those other opportunities, and how the quality of schools varies, and the impact that moving to a different place can have," he said. John and Peter Rooke, brothers who run North Side-based Oakglade Realty that rents some of its 184 units to voucher-holders, say they understand some landlords might be reluctant to participate in the program due to concerns about the required annual quality inspection or misperceptions about who the program services. “We see Section 8 as being an asset to the community,” said Peter Rooke. The program provides a level of economic security for both tenant and landlord, said John. “Most of the people on Section 8 are in more precarious employment positions. When their employment gets cut, or if there is an issue where they had to quit the job... Section 8 is a safety net that keeps them from the street. And it’s a safety net that keeps us from having to pursue legal options to get rent,” until the person gets back on their feet, he said. “Our desire is to create quality, affordable housing as the foundation to a just and diverse community,” said John. Kim Longwell, director of the Housing Choice Voucher at the Allegheny County Housing Authority, said her agency distributes a list of potential available housing at a briefing when people get a voucher, as well as updating their website with information about available apartments. She said they also refer apartment-seekers to the web site pahousingsearch.com, a non-profit website with up-to-date listings. "Unfortunately, we don't have the staff to counsel them or take them around [to apartment-hunt]," she said. 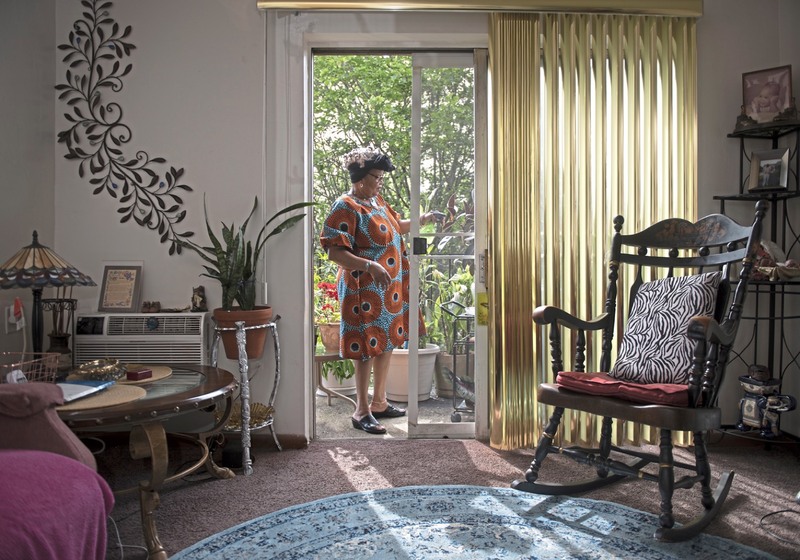 As for Ms. Robinson, while she was eventually able to find housing in a Wilkinsburg apartment, the process was difficult, she said, from apartments she didn’t consider liveable to, being put on waiting lists for other apartments, to an overall demeaning process for voucher-holders. "When you need help, how people treat you, it just doesn't feel good. It doesn't feel good at all." East Liberty trying to make up for lost Section 8 in wake of Penn Plaza and East Liberty Garden closures. 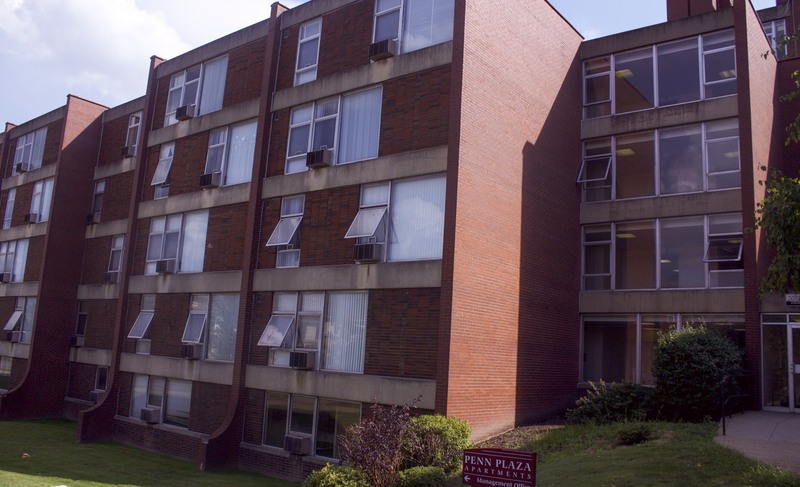 Relocating is an exhausting routine for many low-income renters, but Penn Plaza’s scale made ripples in the greater public’s awareness of the shortage of decent housing for low-income people. Its residents were not just displaced but dispersed, and East Liberty lost 200 units of affordable housing in one year. Those Penn Plaza residents with Section 8 vouchers could be tracked, and of roughly 60 households with vouchers, 40 went looking for a Section 8-approved landlord. Ten found a landlord in East Liberty. Another 20 dispersed around the East End, 21 more broadly. Nineteen did not use their vouchers for reasons that included being over income, having expired vouchers or wanting off assistance. At the same time, but more gradually, 127 units in East Liberty Gardens were emptied out for new construction. Samantha Gilcrese lucked out after several dashed hopes looking for a place with a voucher. She found a place in one of eight townhouses East Liberty Development Inc. has been renovating for voucher holders on Enright Court and Hays and Selma streets. With its high-end building boom and the closure of Penn Plaza, East Liberty has become the perceived epicenter of the affordable housing crisis in Pittsburgh. It is a neighborhood in economic transition, which its Section 8 numbers confirm. It still has more voucher units than any other neighborhood with 396 but it has 114 fewer than it did in 2011. And yet Section 8 doesn’t begin to stem the tide. Nationally, one in four households that’s eligible for a Section 8 voucher can get one, said Mary Cunningham, co-director of Metropolitan Housing and Community Policy Center at the Urban Institute. Locally, the Housing Authority of Pittsburgh maintains a waiting list, and the last time the waiting list was opened — two years ago — more than 7,000 people applied to get on it in a two-week period, said David Weber, chief operations officer for the Housing Authority of Pittsburgh. “Not all of them will be eligible. The federal budget offers no hope, either. The 2017 federal budget for vouchers is $20 billion, and the proposal for 2018 is $19 billion. Housing is considered affordable if you can pay for it with no more than 30 percent of your income. Much housing stock that exists, whether vacant or affordable for purchase, would not meet the standards of Section 8 inspections, she said. “One trend is that people are not always able to use a voucher if they’re lucky enough to get one,” said Phyllis Chamberlain, executive director of the Housing Alliance of Pennsylvania. “Part of the problem” is finding a landlord who will accept it. 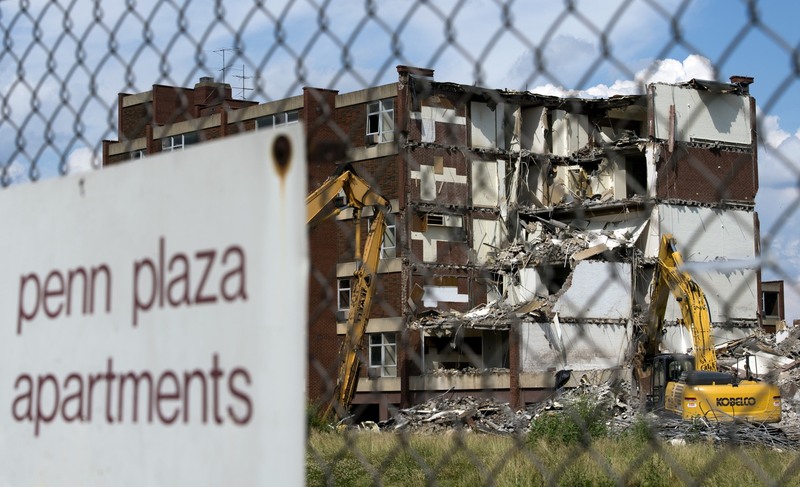 As Penn Plaza’s second building was vacating, East Liberty Gardens — an old public housing complex — was also emptying. The Housing Authority of Pittsburgh bought it from a HUD contract with a private owner and East Liberty Development managed it. It had 127 subsidized units. 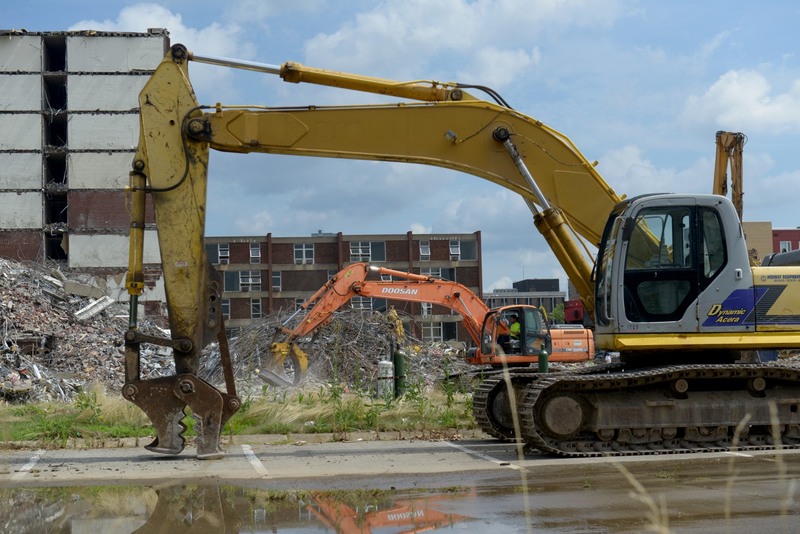 Kendall Pelling, manager of land recycling for East Liberty Development, said more than half those tenants have been able to find something in an East End neighborhood. Twenty-eight households moved directly into replacement units built in the first phase of Cornerstone, a development that straddles East Liberty Boulevard, pulling Larimer into East Liberty’s orbit. East Liberty Development owns and manages 40 subsidized rental units, some of them Section 8. After East Liberty, Carrick has the highest number of voucher units with 265. Carrick is almost three times larger in area than East Liberty, so East Liberty has a higher saturation of vouchers, but that isn’t deterring anyone from plunking down $2,000 for a tiny new apartment there. Whether saturation of vouchers in one neighborhood affects the overall well-being of the neighborhood is questionable. Many landlords offer low-income rents to people without vouchers. “Section 8 in East Liberty doesn’t seem to bother the people moving in,” said Eric Jester, a former real estate staffer at East Liberty Development. He is now the CEO of New Burgh Real Estate. “Poorly managed rental properties are poorly managed rental properties, no matter how the owner is paid in rent,” said Aaron Sukenik, executive director of the Hilltop Alliance in Allentown. The alliance’s sphere of neighborhoods includes Knoxville, which has the fourth most vouchers in the city with 219. The difference between Knoxville and East Liberty is market enthusiasm, of which Knoxville has little. It is also not quite half the size of East Liberty. If saturation were an issue, it would be an issue there. The Hilltop Alliance has worked on stabilizing properties as a way to keep people in their homes, “which is what’s ultimately going to lower demand for additional affordable housing,” Mr. Sukenik said. Section 8 refers to the section of the U.S. Housing Act of 1937 that authorizes public rental assistance to private landlords on behalf of low-income households. It has been misused as a buzzword for crime, bad behaviors and bad landlords.